Radioactive decay is a process of discharging radioactive particles. When talking about radiation, this article refers to ionizing radiation. Different types of radioactive decay include alpha, beta, and gamma decay. They are named after the particles emitted during this process. During the decay the radioactive particles take the energy away from the nucleus. Some radioactive decay changes the original nucleus of the atom into either a different nucleus or a nucleus in a changed state. Radioactivity is the property of some elements whose atomic nucleus spontaneously loses electromagnetic energy because of instability. It was discovered in 1896 by French physicist Antoine-Henri Becquerel. In this process different ionizing particles and electromagnetic radiation are emitted from the nucleus. Many elements do this naturally giving rise to natural radioactivity. The time for radiation to decay varies from element to element and also depends on their isotopes, and is measured in terms of a half life which varies depending upon radioisotopes. The half life tells us how much time it will take for an element to decay to half the amount of radiation. Some elements like uranium and thorium continually emit radiation and ionizing particles which result in different daughter elements by releasing energy in the form of alpha ,beta and gamma radiation. 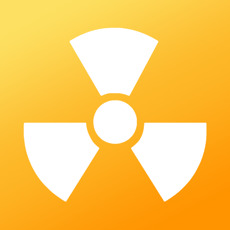 One of the most important radioactive elements is Radon, which is a dense colourless and odorless gas with a boiling point of -61.8°C (-79.2°F). Radon dissolves in water easily below its boiling point, and freezes at low temperature.